You’ve just got to love recipes that taste so good and are so fast and easy to make. This is one of those recipes that is perfect for nights when you need a good meal without a lot of fuss – takes less that 15 minutes! 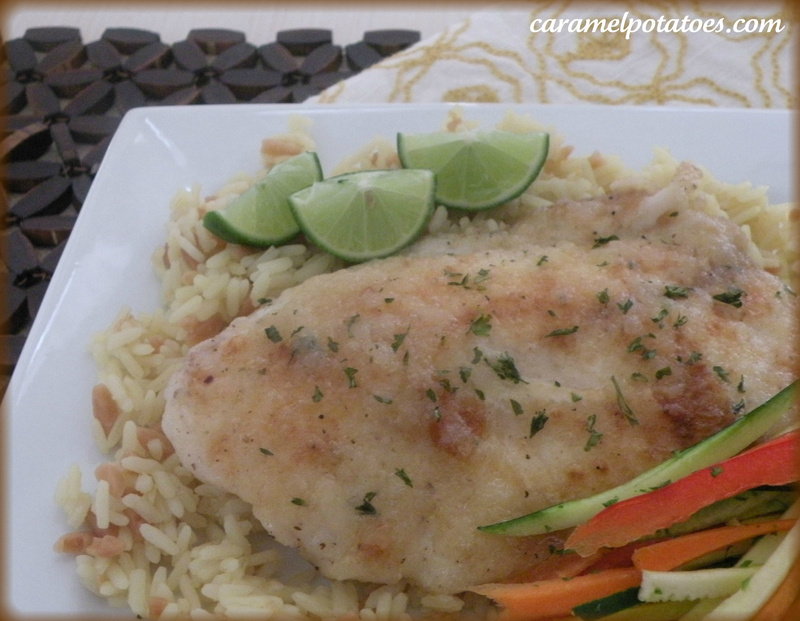 Just a touch of sweet lime transforms this simple fish to a delicious meal even your kids will love! Lightly flour filets and season with salt and pepper. Place 1-2 tablespoons of oil in a frying pan and cook tilapia 3-4 minutes on each side (until golden brown). Remove and keep warm. In same pan mix together the butter, lime juice, cornstarch, sugar, and parsley and bring to a boil. Reduce heat and return fish to pan. Coat the filets with the sauce and serve immediately with rice.